“The iNEXT project will provide our building blocks for the future, from which the entire company and all of its brands are set to benefit.” BMW Chairman Harald Krüger stated at the BMW AG Annual General Meeting which held May this year. “How will we be moving around in future?” The iNEXT addresses the big question at the heart of the auto giant's day-to-day work. 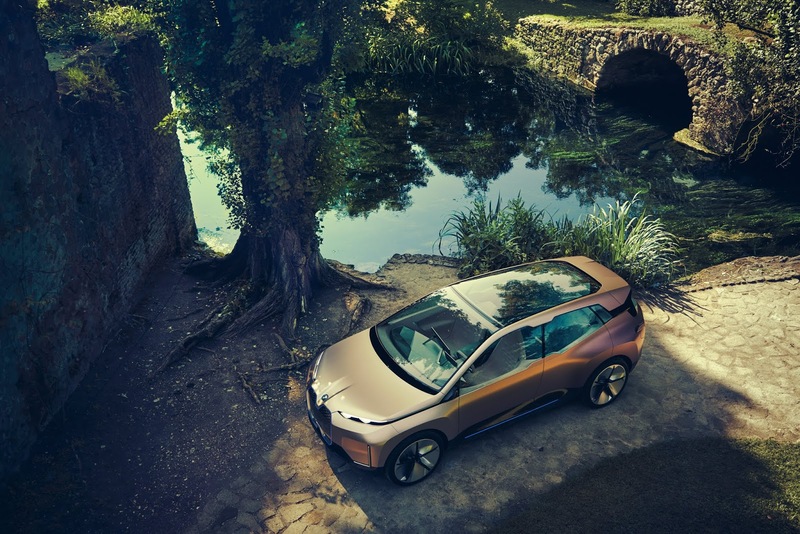 BMW's new electric concept is built on the idea which first kicked off in 2007 with the “project i” and then developed into the launch of the BMW i3 electric powertrain 5 years ago. With over 10 years of experience in electric mobility in both small-scale and large-scale production now part of its accomplishments, BMW has unveiled its new vision for the future in the iNEXT packed with complete in-car integration of the strategic "Autonomy + Connectivity + Electric + Services" fields. Its design comes as a visual expression of these innovation fields and an answer to the question concerning what the future driving pleasure experience is meant to look like. The iNEXT is a fully connected, emission-free and highly automated vehicle which packs BMW's strategic innovation fields into one vehicle for the first time while providing an answer to the question “What does a vehicle look like which no longer needs to be driven by a person but can be if desired?”. iNEXT's series-produced version will assume the role of a new tech flagship for the BMW brand with a package of its “D+ACES” innovation fields set to hit the road for the first time. 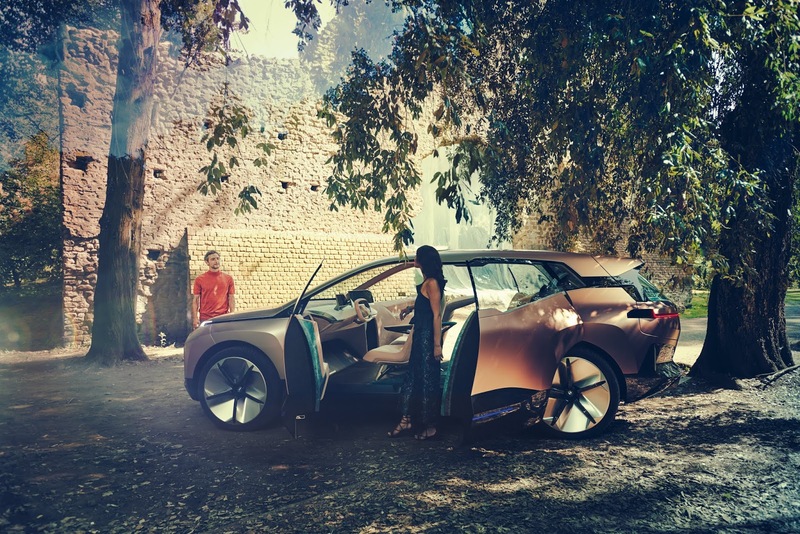 “Personal mobility is set to experience significant change,” explains Klaus Fröhlich, Member of the Board of Management of BMW AG, responsible for Development. “The possibilities opened up by autonomous driving and ever-expanding connectivity enable a whole new range of experiences and ways of shaping a journey. 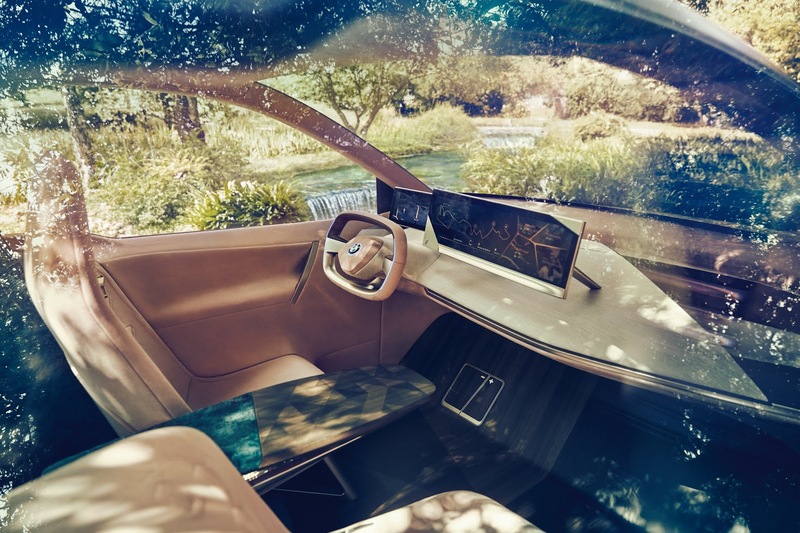 With this in mind, we have designed the all-electric BMW Vision iNEXT as a mobile environment that enhances quality of life, a new “Favourite Space” in which we can be ourselves and relax. 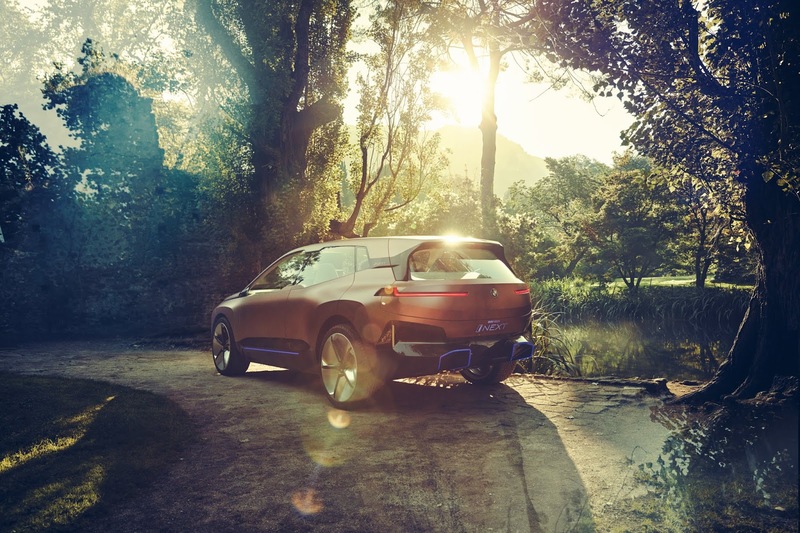 Indeed, all of BMW’s endeavours will continue to revolve around people – and their needs and desires when it comes to mobility – in the future,” He added. The iNEXT sports a modern appearance without opposing doors, an elegant exterior design embodied in confidence and a kidney grille blanked off as in the case of EVs now housing an “intelligence panel” containing various sensors as there is no combustion engine to cool off. The large and interlinked double-kidney grille coupled with its grand side window graphic and the blue accents which at its front, sides and rear clearly adopts the BMW i styling already featured on BMW i Vision Dynamics featured last year presenting it as a stylish and sleek-looking car built with enhancements from other previous concept innovations. Its two-box proportions and long roofline hint at the abundant space inside available for the passenger with its long wheelbase and short overhangs providing its silhouette with a dynamic edge. This packed with a long list of many other notable features including powerfully sculpted surfaces, accurately placed lines, aerodynamically efficient large wheels, cameras replacing the work of the exterior mirrors and touch-sensitive illuminated graphics replacing conventional door openers among others, The vision iNEXT stands as a car one would love to ride in and experience the future of mobility in-transit. 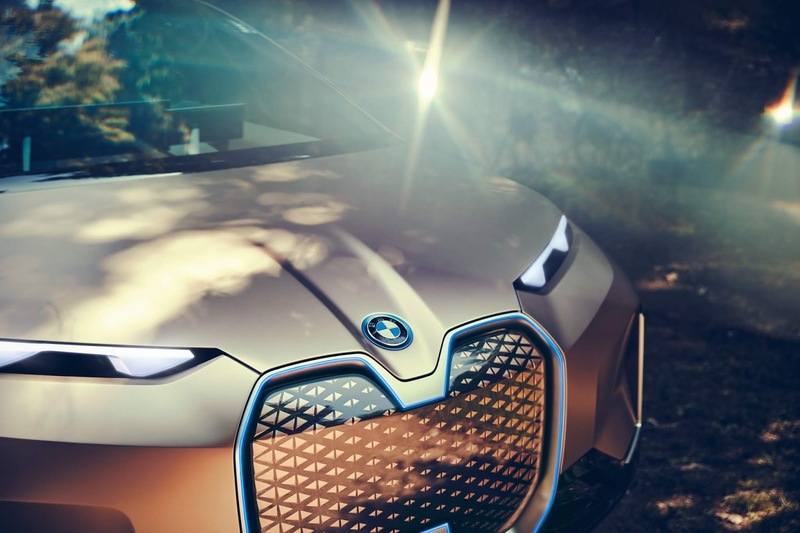 Set to debut production at BMW's Plant Dingolfing in 3 years time, The iNEXT would surely stand as a very unique and attractive experience to consumers wanting to get hold of BMW's innovations packed into one electric and lustrous vehicle. “BMW i exists to generate creative, pioneering ideas which transform the way we think about mobility. 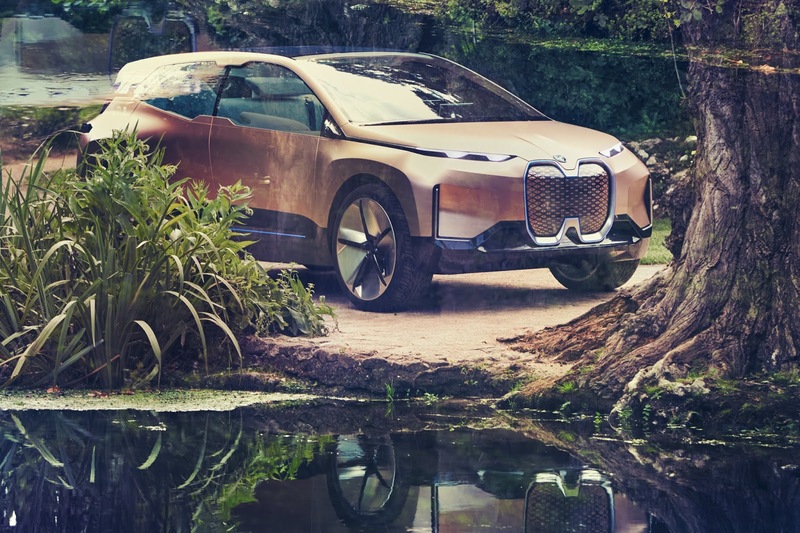 The BMW Vision iNEXT marks another next big step on that journey of transformation, showing how more intelligent vehicles can make our lives easier and more beautiful.” BMW Group Design SVP Adrian van Hooydonk stated concerning the glossy vehicle.